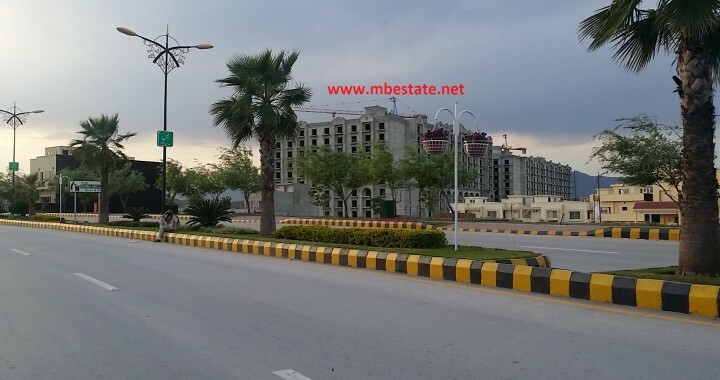 2 Bed Apartment available for sale in Bahria Enclave Islamabad in Sector A Size 1164 Sqft Aprox 5 Marla at 4th floor structure ready possession hand over June 2016 fast track finishing work in progress best time for investment. Bahria Enclave Islamabad where dream come true for your own home in Islamabad, luxury living with a life style at your destination where nature knock your door every morning, lush green hills view, natural & healthy atmosphere with beautiful fountain 24 hour security, Gated community Beautiful Masjid, School, Hospital, indoor shopping mall. A leading investment in Islamabad at affordable price started from 23 Lac, All Size 5,8,10 & 1 Kanal Plots available at instalments & full cash based. 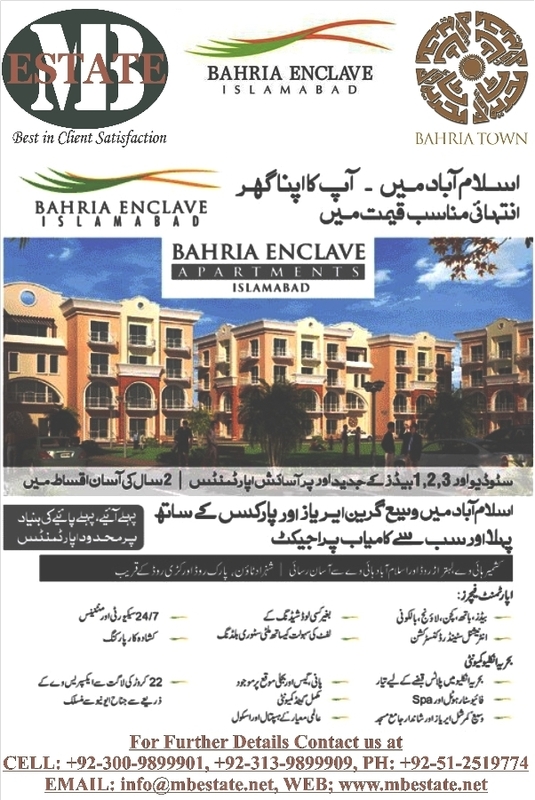 Posted in Bahria Enclave Islamabad and tagged Bahria Enclave, Bahria Enclave Apartments.